I don't pray for happiness all the time, I know that is an unrealistic expectation. Happy all the time feels fake and unattainable to me. That is probably why I loathe don't enjoy those worship songs that are all happy happy happy. I don't even pray to feel content all the time. 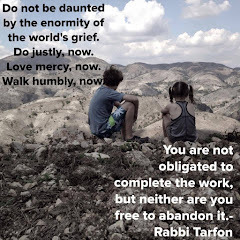 The sorrows and injustice of this world always leave a certain discontentment. That is a discontentment I am willing to walk in continually, I want to be troubled by the atrocities. Now that I have reached the old age of forty, I don't pray for an easy road with a lack of conflict, hardship, or failures. I have learned that with each conflict, hardship, and failure I am able to learn more about myself and so much more about God. This better prepares me for the next conflict, hardship, mistake or failure. We are all drawn most to those that have suffered and failed and are honest about it, their unusual grace is like a magnet. I don't think that level of grace comes free, it costs something. An easy road would be nice, but understanding and empathizing with authenticity about the heartache of others is actually very nice too. 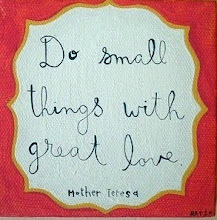 ...That is, let us pray that we will (all) have strength, endurance, courage, and a sense of humor to lighten the load. May we grasp tightly to an unrelenting hope and may we have an unusual ability to always see the best in people while we try (and sometimes fail) to love them as we want to be loved. We so enjoyed our whirlwind trip to the Baaahstin Marathon and the 24 hour layover in NYC on the way back to Haiti. It was a gift to be on John and Beth's (old/past/childhood) turf and listen to other people that sound like them. We rode in the caaaah, we prayed to the Laaaahd, we went out for wicked good seafood. Besides all that awesome stuff we got to do, we also got to be together on a trip without any extra passengers tagging along. I don't want to brag, but I am going to anyway. We are amazing grown-ups with tons of skills that hardly anyone knows about. Without kids we can get up at 4am and walk out the door at 4:15am. We can arrive places on time. We can arrange things and then actually do them as arranged. Ask our new friends in Boston. They will tell you. Year after year of running around finding shoes and yelling "Did you brush your teeth? Did you go potty?" while searching for the finished math homework and the right hair bow has stolen our dignity. We have been totally stripped of our confidence. That's right kids, once upon a time we did not take two hours to leave the house. Once upon a time we were efficient. Once upon a time we knew where our keys were. When we wanted to leave, we stood up, grabbed our car keys and wallet, left the house. Just like that. Gone. It wasn't so long ago, really. The three nights in Boston and the quick exits each morning were ginormous boosts to our egos. We needed it. Troy marveled at the ease with which we went to empty our bladders. All you do is stand up and say, "I'm going to the bathroom", and then you walk there and you go. It.is.awesome. Four kids don't ask to go too. People don't request that you wipe them. Ever. I never once discreetly handed off some child's poop-stained underwear or witnessed a screaming fight over the crayons or coloring books. I did not spill sugary soda on Troy's lap or whine about not having the window seat. Okay, I whined a little...But then he let me have it. We gasped at how wonderful it felt to be small and anonymous, just two regular people traveling without a circus and monkeys. Sadly, as hard as we tried to enjoy a weekend without any weird-o moments, we still had two separate incidents that required dipping a hand into a toilet. Apparently our children don't have as much to do with bathroom issues as we like to think. I want to protect the innocent. I can only tell you that one incident had something to do with trying not to ruin someone's Easter with an improperly lodged gift, and the other had to do with a poorly placed air freshener in a Walgreens restroom near mile 20. Thank The Laaahd for plastic bags, soap and hand sanitizer, right? 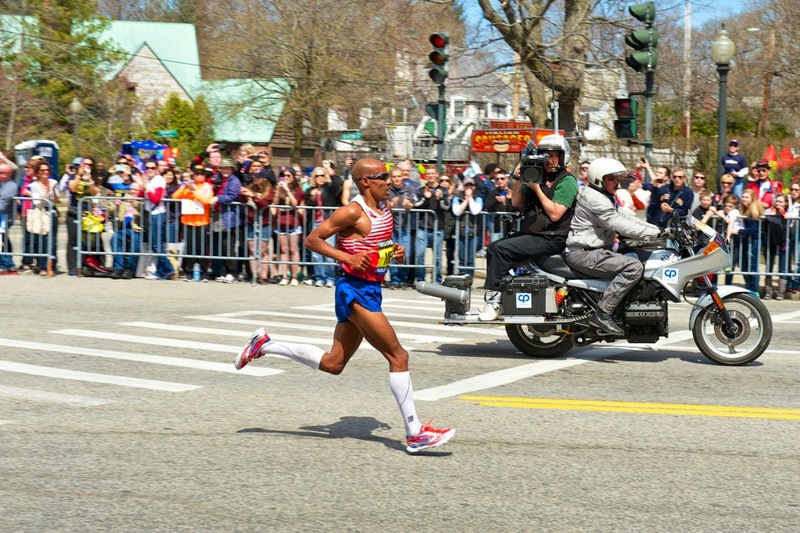 Watching the fastest runners in the world fly by us at Heartbreak Hill left us so very verklempt. 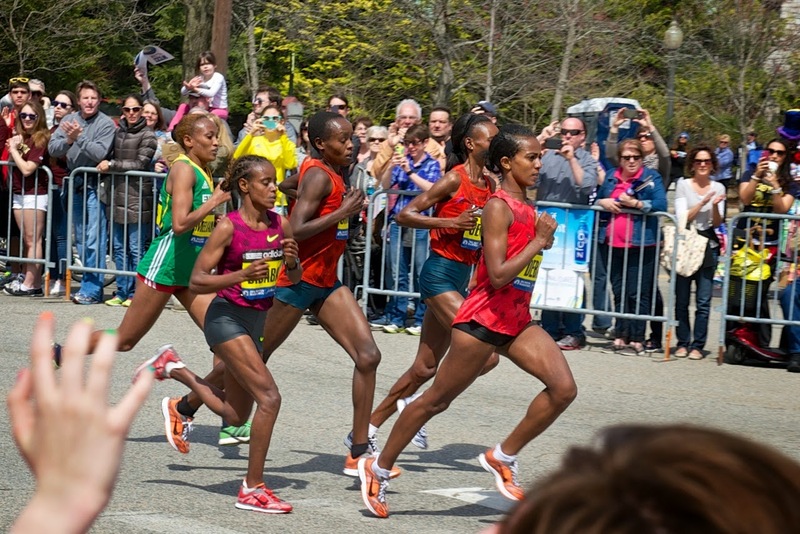 It is amazing to see strength and talent and endurance in the flesh, especially when you can reach out and touch them if you try (but only if you want to ruin their race and possibly cause them to fall and risk arrest and imprisonment). Beth ran her race, start to finish, one foot in front of the other, like she always does. 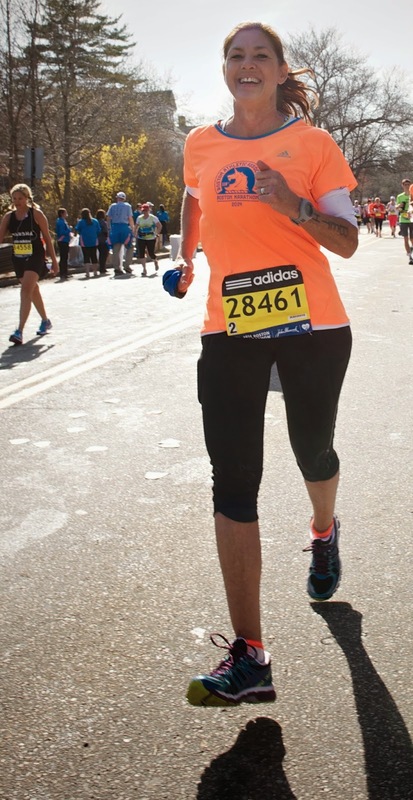 I never doubted she would finish, that is who she is - a finisher - Moxie personified. The goal she set for fundraising has yet to be met. That is okay, we have time. I don't feel bad continuing to ask all of you that read and are plugged into the work here to spread the word. Please share what is happening at Heartline with others that love women, children, and Maternal Health - and those that have a passion to love their neighbors around the world. We are all very lucky to be a small part of this good thing. We cannot keep going or growing without more people to do more small parts of the bigger work. Join us! Jimmy and Becky (the Burtons, they teach our kids day in and day out) stayed with our kids. They are loving and kind and tolerant of way so many shenanigans. When I walked in the door I said, "How'd it go with Mr Jimmy and Ms Becky, everybody?" Lydia said, "Waaaaay better than I thought it would." Well. Alright then. I asked, I guess. Jimmy just smiled, he deals with honesty like this every day. I would probably die a death of embarrassment if I knew all the things the kids have shared. We loved every minute of our time away. We loved coming home. The day we got back here there was a crazy adrenaline-filled emergency at the Maternity Center. Troy yelled at cops that wouldn't help with traffic, we made record time and the mom and baby are totally fine and hopefully being discharged today. Becky got this crew looking AMAZING on Easter Sunday - but I doubt they left on time. This photo on Facebook was the most popular photo EVER shared. what to do when they lay eyes on him. 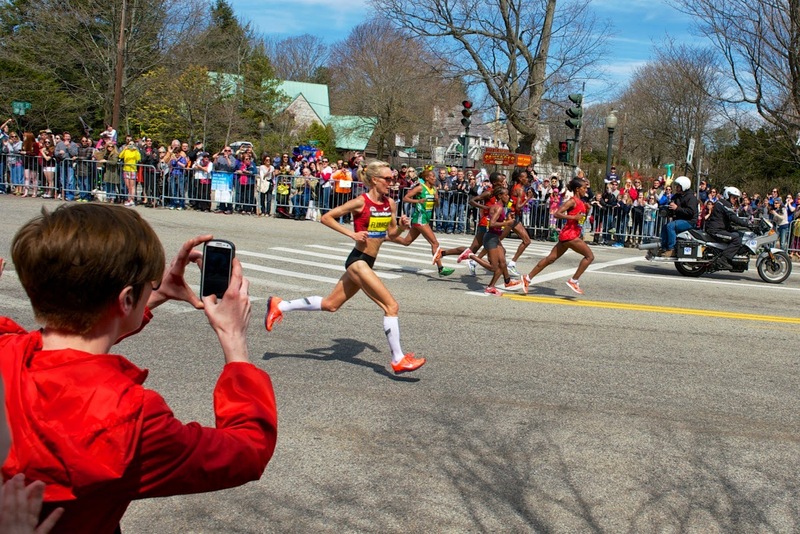 (Beth went the distance, John ran at least 30 yards to get a hot dog. Please find Part I and Part II of this series and the additional post 'On opening ourselves up to pain and possibility', if you have not already read them. Part III has been the hardest to write because it is difficult to determine which things should be kept private and which things are important to share. Our two older Haitian children are open to sharing a bit about their experiences but their families do not have the access and privilege we have and that makes it feel a tiny bit scary to share with total strangers and trust that our hearts will be heard and understood. The relationships are difficult to describe and we want you to know that what we share is only a portion of the total. Some of the detailed information and history of what we have learned as our relationship has grown with the first families would best be shared face to face. These birth-families are 'our people' and we never want to share anything that would feel uncomfortable or embarrassing to them because we deeply respect them and we have learned they do not want or need our pity, they simply want and DESERVE our respect and honor. These are kind, loving, hard-working, capable people that just happen to be materially poor and live in a country where changing that is very, very difficult. There is one caveat required on these 'open' international adoption posts that is too important to neglect. Before anyone can consider an open adoption, they first have a responsibility to be sure that the adoption they are doing is ethical and legitimate. I wish I had known more and done better. Our two first-mothers don't express any regret whatsoever about their decisions, but they were manipulated at the time of relinquishment (promised things we were not privy to at the time) and we regret that happened to them. I understand that lots and lots of North Americans believe that their wealth automatically and unequivocally makes them better suited to raise the poor people's children. I do not agree and there is a large problem with that thinking. For those that don't automatically think that all poor children should be taken from their parents, I urge you to do way more research about your agency and country than seems necessary. I beg you to walk away if you see or sense something is not quite right. The only way to stop the corrupt system from preying on vulnerable people is to refuse to be a part of that system. Isaac was adopted when he was 14 months old. He met his Mom again when he was four. We see her once or twice a year as a habit. He met his Dad for the first time when he was ten. His parents are together (again) now and have three other children that they are parenting and one other that they placed for adoption. 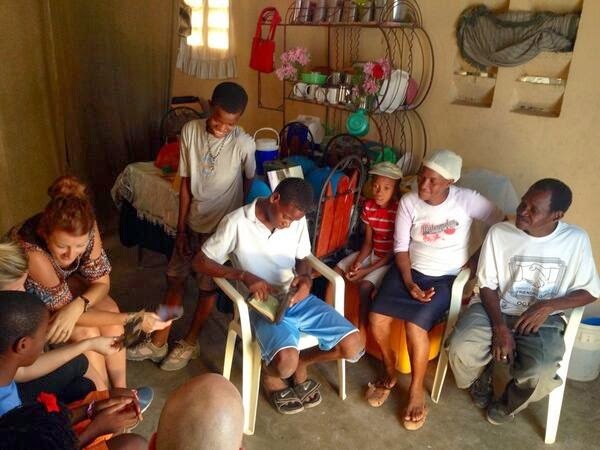 Recently Isaac visited their home for the first time, prior to that all visits had taken place at the Maternity Center. I asked Isaac to talk and let me type what he said. This is his stream of consciousness regarding his most recent visit to their home last month. "One important thing was that I learned was the story of when I was born and the story of that was pretty awesome and I learned that my grandmother delivered me at the house my family lived at in... (he paused and couldn't remember where) I have the date of my REAL birthday date and now we can celebrate the right day because we had the wrong day and now I get to have a birthday sooner this year. I learned that I have three siblings that have stayed with our Mom and Dad. I felt happy knowing that they are okay and knowing their house is great and they are okay and that one of them had a notebook full of English. It was important for me to know why they decided to place me. I think I look like my dad and my mom and my 14 year old brother a lot. I'd like to see them again and I know they are sad about not seeing other parts of their family that were adopted and I'd like to keep in contact." (I asked Isaac at this point if there was anything he is worried about?) He said: Well, it would be cool for them to be able to go to the States and have some fun and I'd like them to see what I have seen but I know that is probably not very possible. It is okay that they placed me but I wonder sometimes what it would be like to be with them but that doesn't mean that is what I want, it is just what I wonder. I am glad I have Noah and this family and that is good - the best actually - but I still wonder of course. It is weird to think that I might be scared of dogs if I had stayed with my first family. I think that they are good people and I love them and I don't speak their language fluently so sometimes that part is hard." These photos are from our March visit. We went all together with Isaac's little sister that has also be adopted and lives in the USA. It was the first time the family had all their kids together in one place. Their grandma showed up and is the feisty power behind the scenes. Grandma had TONS to say and shared her frustration with not knowing about some of her grand kids that have been placed in families in the USA. (Isaac has aunts that have placed children too.) She somehow found out that one family that adopted her grand kids went through a divorce and she had some things to say about that. She prayed with lots of energy over the group before we said goodbye. Hope's first-mom has seen her at least once a year since she was four years old. Hope and Phoebe are the last two children born to their Mom. (Phoebe is only seven years old and has not been visiting quite as much. She has seen their Mom but always has the choice about visiting. The last time we went she chose to stay back.) 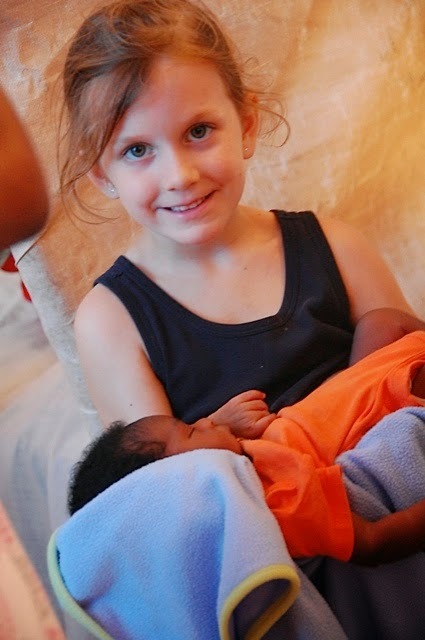 From their biological mother, Phoebe and Hope have three much older siblings that live in Haiti. We have become fairly close with Hope and Phoebe's older sisters, they have both been in the Prenatal Program at Heartline. One delivered with us and one lost her baby after delivering prematurely last summer. They also have three more siblings that live in the USA with two different adoptive families. They have a little contact with the USA siblings and have met one of the three. "The best part of this is seeing how my face is made, how I can see why I look the way I look." "The worst part is that I don't speak Kreyol well and I cannot understand much of what they say or talk to them by myself. 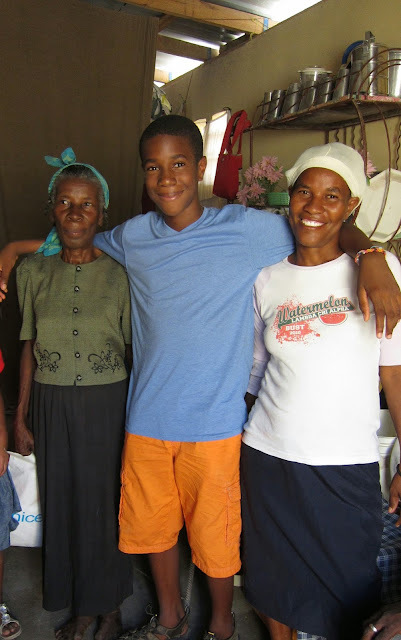 I hope that my Kreyol will improve and one day I will be able to talk to them without my Mom and Dad translating for me." Hope added that she found it slightly confusing that her (birth) Mom and Dad seem to be friends and like each other and in Hope's mind it is odd that they didn't stay together if they like one another. Hope's sister showing us letters from the families that have adopted her child. We have brutally honest conversations about adoption and we want our kids to have the freedom and ability to bring it up whenever they want. We have made a decision to "do it afraid" when it comes to these relationships. I don't say that in any self-congratulatory way, I simply share it because you don't need to wait until you are not afraid to enter into these sorts of things. It is scary but usually the courage you use to do it anyway ends up being its own gift and much can be learned from risking in relationships. We have moved forward carefully in each decision with a desire to do what is best for our kids. As they have gotten older, these relationships have grown. Our hope and prayer is that it helps our children and their first families have more joy, more healing, and more peace. Lisa Rieb is our guest today. She is the adoptive Mother of Moses. A tiny portion of his story can be found here and here. The rest of his story is unfolding in Wyoming right now. Most women (65%) in Haiti have no access to prenatal care and give birth at home, often resulting in maternal death or infant death. We don't fully know our son Moses' birth history, but putting clues together has led us to believe he suffered a brain injury at birth, causing his cerebral palsy. His birth mother most likely gave birth at home with little to no help, and nowhere to go if she faced complications. The fact that she was able to care for him as long as she did speaks to her great love and nurturing of him until his disability became to great a burden to bear. 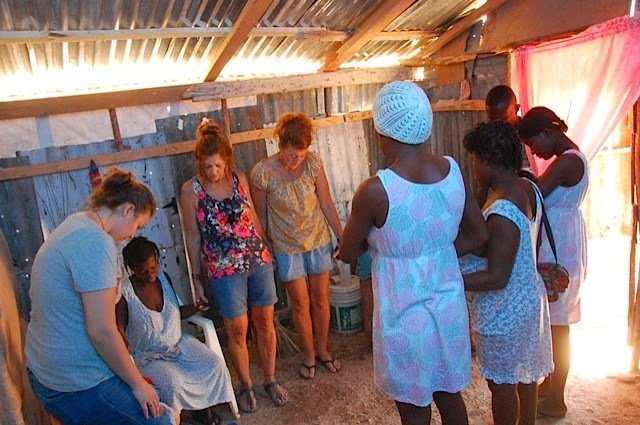 We are firm supporters of what Heartline Ministries in Haiti offers women. Prenatal care, labor and delivery services, lactation suppor, child development education, midwifery care, and so much more. We know that what they do keeps women and children safe and together. This is orphan prevention. 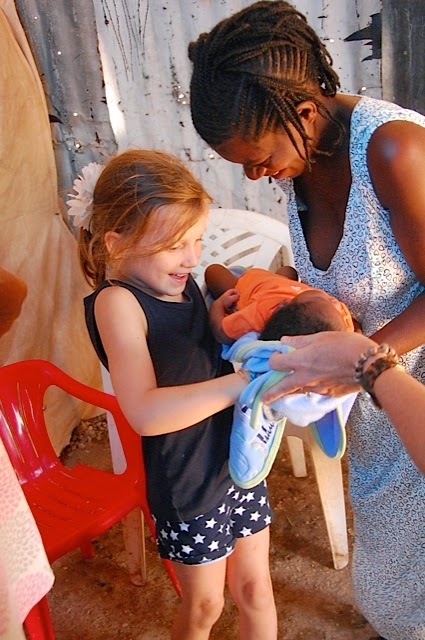 Loving the mothers and children of Haiti like we would love ourselves and our sisters and friends. 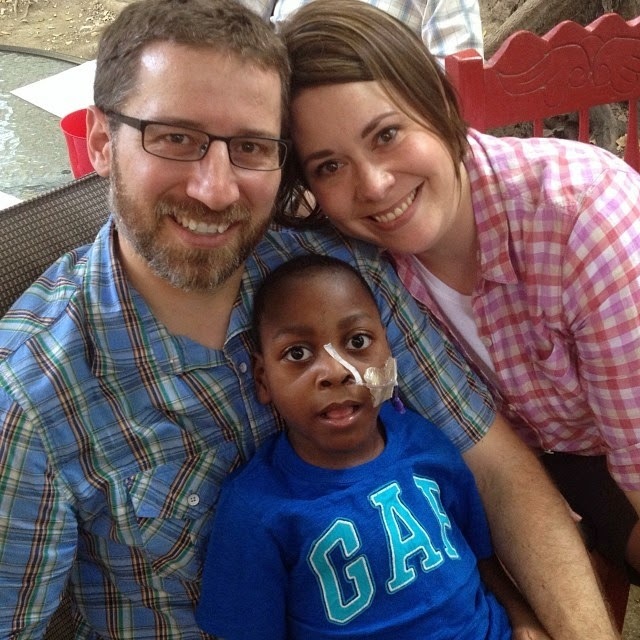 I can't help but wonder how life for Moses would be different had his birth mom had the love and care available through the Heartline programs. We are privileged to be his parents. He is a precious boy full of Joy, even in disability. We think his life story is meant to be shared as a testimony of how we should care for our neighbors whether near or far. Seeing Beth, Tara, Wini, and Andrema (and many others!) 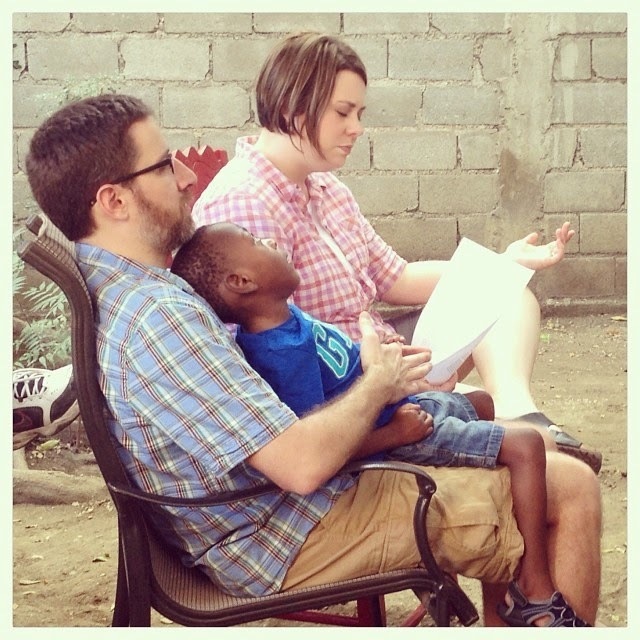 in action while I was in Haiti was an experience I'll never forget. They really do love their jobs, love the people of Haiti well, and do the hard work not only of delivering babies, but of entering into the messy relationships of life in order to be grace and mercy to Haitian women and children. Won't you consider supporting their ministry with a one time donation or monthly donation? 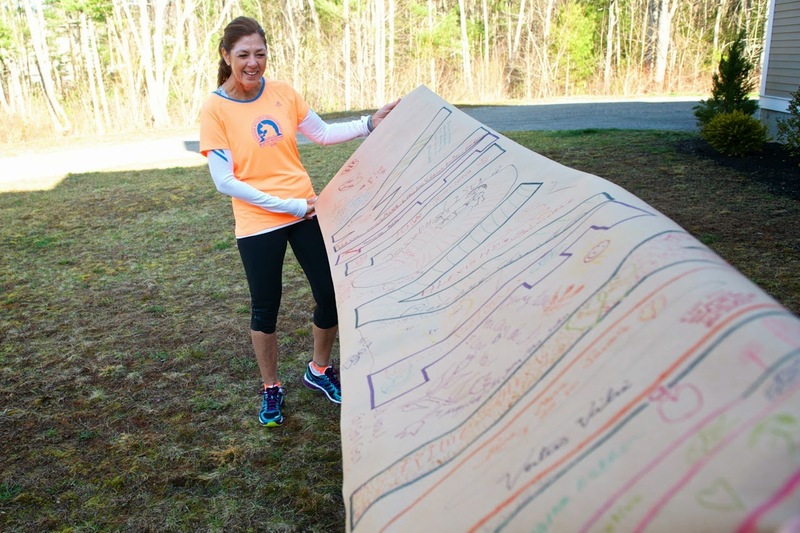 Maybe you would like to do this in honor of Moses and his brave birth mom. Perhaps you want to give in honor of a child you or a friend has lost. 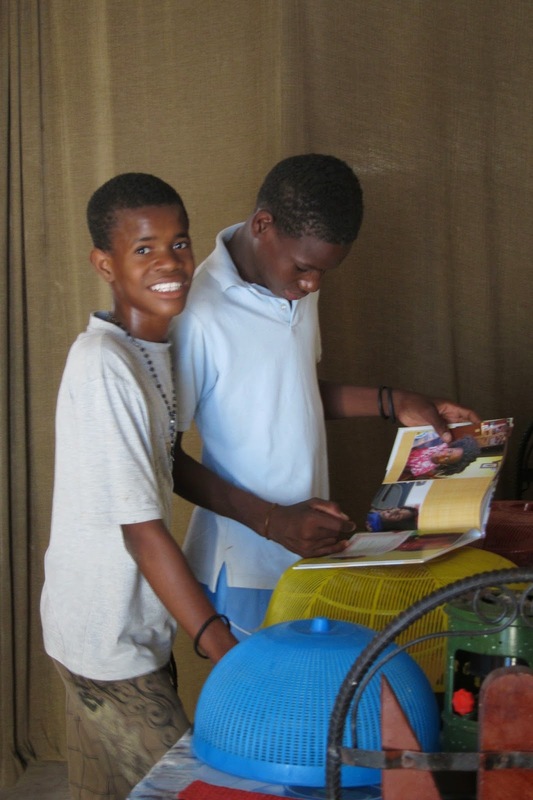 The gifts are a way to say we are for our neighbors in Haiti and for their families. This photo was taken in 2011. 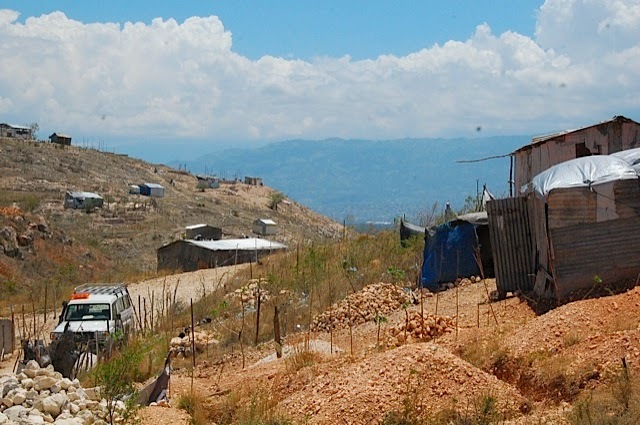 It is the area of Haiti where over 100,000 people have relocated post-earthquake to a dusty mountainside area. This is Antoinette. She is a good friend from the days of the field-hospital. She taught many of us after the quake and continues to do so today. 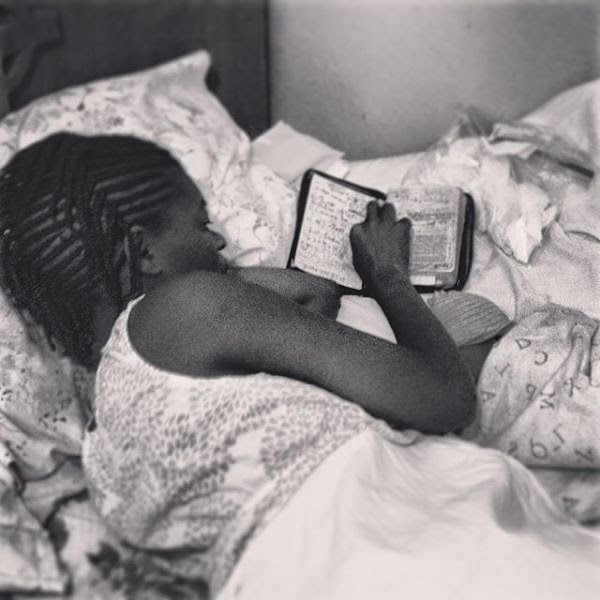 Antoinette lives with hope that Friday's suffering will lead to Sunday's resurrection. I find myself in an unusual position. Or ... Maybe this happens to you all the time. Three kids, two dogs, one morning before school. One morning last week I stood in the kitchen pouring caffeinated goodness, the steaming hot breath of life, into my favorite coffee-mug when Geronne walked up to me and said she had a message from the neighbors. I jumped immediately into worry knowing that it has taken some time to be decent friends with our neighbors. Loud kids and loud generators make for rough relationships. We have worked so much out over the years, I sure hoped nothing had happened to put us back on their bad side. Okay, I said, and so what if they think he is cute? I laughed it off and said that we have already asked Kelly, the famous Haiti Vet, to roast the nuts of Chestnut and make him into a celibate man. Geronne said, "Yes, I told them that but they want him to come over before Kelly does that." The week got busy, friends came to visit, some babies were born at Heartline, I did not think about those propositioning neighbors or their ovulating little Chihuahua again. Friday night there was a knock at the gate. Knocks at the gate after midday are pretty uncommon. Lydia opened the gate and the neighbors (both husband and wife) moseyed on into the yard. Troy and I went out and did all the kissing back and forth, give yourself vertigo, greetings. We regained our balance and made small talk for a tiny second before the wife asked if Geronne had told me how much they love Chestnut and how their dog is looking for a lover. I said, yes, yes , she told me. From there an utterly bizarre conversation, half Kreyol half English and interchanging the two, took place. Things were said that I don't think are normal or even okay. We stood chatting about how handsome Chestnut is and their little dog's period and then wondering aloud together when they are supposed to hook up? I said during "règ li" (her period) and the neighbor thought afterward. The wife even explained the way she thought the girl dog looks down in her nether regions, when the boy dog is wise to head over wearing his best cologne and cowboy boots for added height. After lots of speculating between people that have never ever bred dogs we decided that some Google-ing and research (and a lot of stalling on my part) was in order as was a talk with Chestnut about how he feels about being used for his seeds like that. I happen to know that Chestnut is a deep feeler and he is going to want more than just some cheap hook-up. Our sons were adamant that if they are going to let Chestnut go do the nasty with some random and unspecial (to them) Chihuahua, they want one of the puppies. I told them we don't really want another little dog. The boys said, forget it then, Chestnut is not available to be used and thrown away like that if there was nothing for them to gain from it. The problem remains that the neighbors still want our dog to come over for a little dinner and hanky panky and we don't really know if we want our little guy doing that stuff. Their dog doesn't seem good enough for him, number one. Number two, what if it consumes his mind from then forward and we never get our innocent little Chessy back again? This could lead to a snowball effect of a whole lot of problems that we are simply not savvy enough to deal with well. I may hide from them for a few days, or claim Chestnut fell very ill, or have Kelly the Vet come declare him infertile, or just make him infertile. I want to end this story by saying these funny neighbors are strange and pushy about getting our male Shih Tzu with their girl-dog ... But the other day Noah took issue with calling people strange. I guess it can be said that this whole thing, with hooking dogs up cross culturally, is a kind of different that we just aren't used to yet. Comfort is not a soft, weakening commiseration; it is true, strengthening love. Rosenie stayed with us a little over 48 hours. We took her to her home on Saturday afternoon. beauty and suffering that are in lives all around us." Prayer for their family and prayers of thanksgiving for a healthy, safe delivery. Rosenie's husband had to work and couldn't join us. 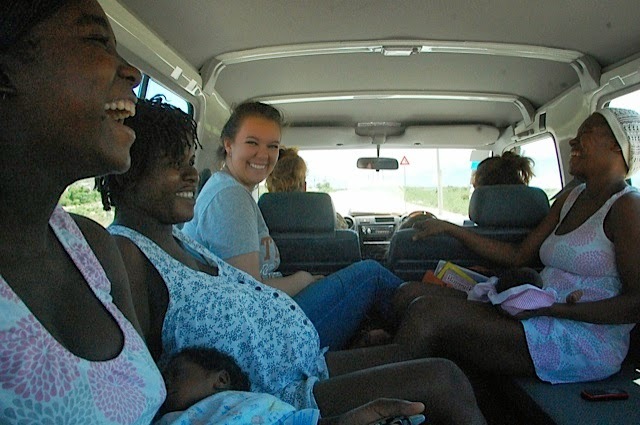 Carline delivered two weeks ago and has needed to stay for nursing encouragement and support, Emma is pregnant and living at the Maternity Center until she delivers because she lives in a rough area. She worried she would not be able to leave to come to us if she went into labor in the night. 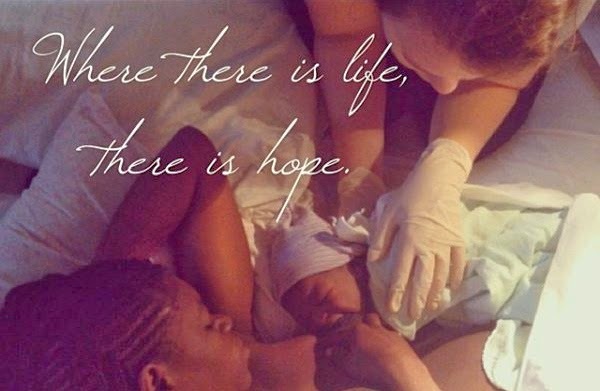 Baleline is a young Mom that delivered 4 weeks early and stayed in postpartum longer due to her small baby. They all came on the ride outside of the city to bring Rosenie home. It was a fun field trip that boosted morale for all of us. One of the most special moments in the process of getting to know these strong ladies is the joy and honor of being allowed an opportunity to take them home. 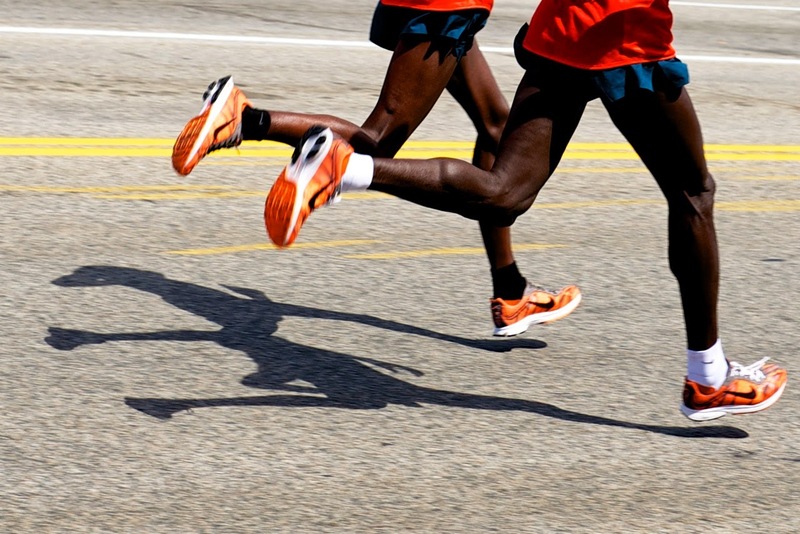 We all attempt to know one another better throughout the entire program and process. During intake, prenatal care, class time, labor, delivery, and postpartum care, we slowly build relationships. Back in the first year of doing this, it used to be intimidating to me to wind deep into neighborhoods uncertain if I'd ever find my way out. I remember averting the job of discharging and transporting in the beginning, leaving it to others whenever possible. Avoiding visiting their homes saved my heart from pain. At times their suffering and living situations are difficult to see. Truth be told, it is much easier not to see it up close. It can be culturally and socially awkward, but as we sit there all fidgety and unsure and we are willing to be a bit uncomfortable together and allow that awkwardness, it almost always builds trust. Part of what we hope to do during our time with the women that pass through the programs is to offer them an unusual comfort and kindness. Bringing them home, instead of having them take crowded public transportation is one way we can love and comfort them. The word comfort is from two Latin words that mean "with" and "strong". God is with these women and He makes them strong. He is with us and He makes us strong. Amy Carmichael said, "Comfort is not a soft, weakening commiseration; it is true, strengthening love." 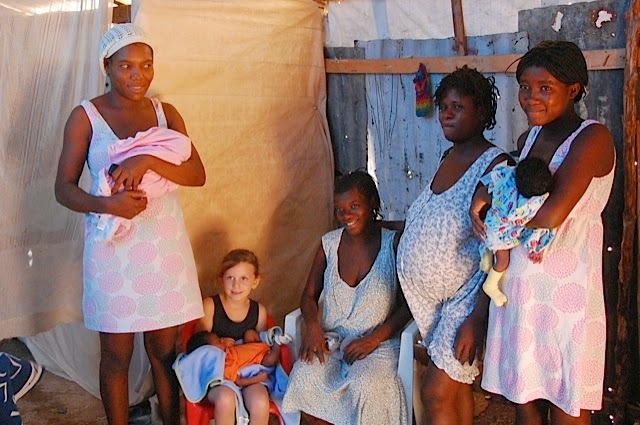 I hope that sort of comfort is what Haitian women are experiencing as they are brought home after giving birth.